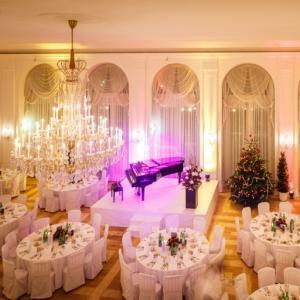 Celebrate New Year's Eve on 31.12.2019 in Kursalon Vienna! Start the evening with our exquisite New Year’s Eve Gala dinner. Listen to our world-renowned orchestra performing the beautiful melodies from J. Strauss & W. A. Mozart. Learn more about basic steps, style and character of Viennese Waltz. 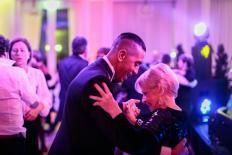 Welcome the New Year while dancing to the sounds of the famous Blue Danube waltz! Round up the evening dancing at our exclusive New Year’s Eve Party. 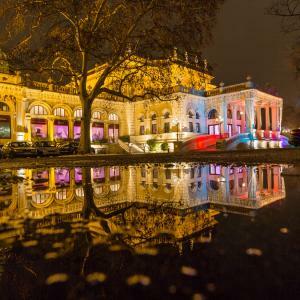 You will be treated to a lavish 4-course menu of the finest culinary delights along with a selection of lovely wines and other beverages all in the magical atmosphere of the historic Kursalon Vienna. Enjoy the most famous pieces of Johann Strauss and Wolfgang A. Mozart performed by our orchestra Alt Wien ("Old Vienna"). Accompanied by international opera singers and ballet dancers they will delight you with a magnificent concert and bring the year to an unforgettable close. The Viennese Waltz is a world famous ballroom dance made popular by Johann Strauss himself. At our Waltz Workshop, you will learn the waltz fundamentals so that you can dance along to this beautiful music later in the evening! As midnight approaches, we invite you to join us for a glass of sparkling wine on the beautiful Kursalon terrace overlooking Vienna’s City Park (Stadtpark). 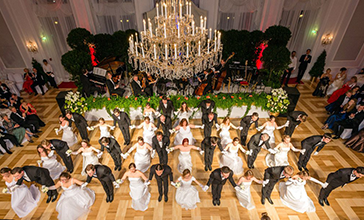 Welcome the New Year with the typically Austrian "Midnight waltz", dancing to the sounds of the famous Blue Danube Waltz. The evening doesn’t have to end at midnight. 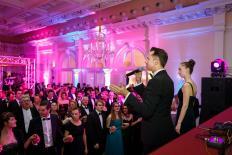 Continue the celebration by dancing through the early hours of the New Year at our wonderful New Year’s Eve Party. It’s the perfect way to end a lovely evening in Vienna. You can still join us for a wonderful night of music, dancing and classical Viennese celebration with on of our packages that do not include dinner. 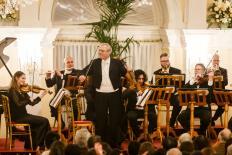 Enjoy a luxurious evening of traditional Viennese culture in the beautiful venue of Kursalon Vienna! My wife and I came to Vienna to celebrate our anniversary and this proved out to be the highlight of our stay. Thank you for this amazing experience! 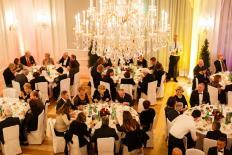 Kursalon is a stunning building in the very heart of Vienna and one of the most exclusive venues of the city. carry you away into the New Year! We recommend that ladies dress in full-length evening attire, while gentlemen should wear formal wear, black tie or traditional gala attire. Upon reaching the dancefloor, the man should traditionally take the lead. When the dance is over, the man should accompany the woman back to her table. Ladies are normally seated to the right of gentleman. When the lady stands, the man must stand as well or make a gesture to this effect. Get a taste of the Viennese tradition in your own home! Listen to our own Salonorchester, Alt Wien, perform Strauss and Mozart and start practicing the steps of the famous Viennese Waltz! 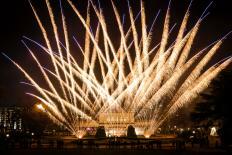 Visit us the next day and enjoy a wonderful evening at our New Year’s Concerts on January, 1st! We offer special accomodation packages in luxurious hotels around Kursalon. Contact us! Join us in the exclusive and splendid Kursalon! Download our brochure with all the information!